There's a lot going on in the world, and I'll start with the trivial because this blog is shallow at times. Moving on, there is the question of Afghanistan, and we don't seem to be doing much better than Alexander-the-Great did. It's a complete mess. I had the right strategy - NEVER bring in big Army (because the Beltway bandits insure that it's an endless war) to a situation like this. Let SPECOPS handle the basics, kill who you need to kill and leave. The advice (from the Princess Bride) never to fight a land war in Asia is sound. So I'll segway from the Princess Bride to Hollywood. There are so few people in Hollywood who know what makes a successful series or film that remakes are a safer bet. While some ideas can be re-crafted and can work, some seem to be doomed to failure, but the moguls don't know it...until they're one-season wonders. However, since they're moguls, they do it anyway. 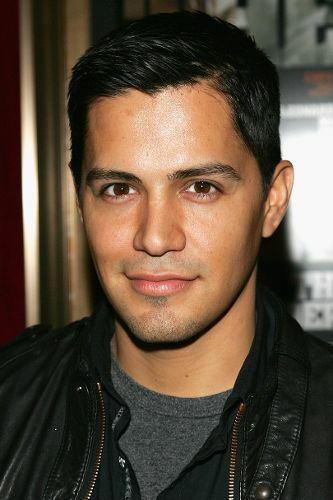 Against all logic, they have rebooted Magnum PI with a Mexican-American (Jay Hernandez) playing the lead role of Thomas Magnum, with a focus on racial grievance politics. In an interview in which he describes winning the role, Hernandez spread a very standard minority victimology myth. He said he was proud to put an heroic Mexican American up on screen because when he was growing up, the only brown faces you ever saw on screen were the villains. Name one. If you want to make a good film, cobble together the cash, retain talent and make it yourself. Because with a very few exceptions, that's how it's done. But that's not all, because you need somebody like Harvey Weinstein (Miramax) to arrange the RELEASE of the film. If you don't have a company to manage the release, it's straight to video - DVD's and oblivion, which is where this animated Batman remake is destined to end up. North Korean leader Kim Jong Un sent a letter to the US President requesting another summit between the two leaders, according to the White House press secretary. The US will reply favorably. One commentator speculated that Kim might be invited to visit Washington, D.C.
On 11 September, Taliban attackers in four provinces killed 56 security personnel, overran at least one district center and threatened to capture Sar-e Pul Province, The Taliban in the north appear determined to overrun a provincial capital, matching the attack on Ghazni city by the southeastern Taliban in August. In Jowzjan Province, at least 10 security forces were killed and 13 wounded in Kham Ab district. Late reporting indicates the Taliban overran the district center and have captured the district. The Taliban have surrounded 50 security personnel who will be killed or abducted if they do not join the Taliban. In Samangan Province, at least 14 police and civilians were killed in fighting in Dara-e Suf-e Payin district. The last attack in Samangan Province was a bombing in May. Prior to that no deadly clashes were reported in open sources since 2017. In Kunduz Province, 15 police were killed and 10 wounded in attacks on security checkpoints in Dasht-e Archi district, said Amruddin Wali, a member of the local provincial council. The effect is to whip saw and overextend government forces. US and Allied forces at their maximum strength lacked the resources to respond to eight simultaneous regional crises.